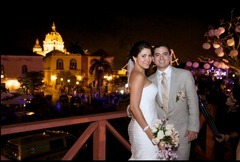 honey moon ideas around Cartagena? We had planned our honey moon in Greece and we are postponing it for couple of months. We would like to stay around Cartagena. any suggestions? anyone has been in Tayrona? other suggestions? thanks! Has anyone had experience getting a real wedding cake (ie American style and not the maqueta). It seems like the only option here is the fake cake, but just curious if the real one is out there? Hello, can you guys tell me who you used or are planning on using as photographers? I'm looking for a modern photojournalism style, but so far all I've found are the more standard wedding pictures. Thanks for your help! has anybody used Caribe Cordial to plan a wedding? I am thinking of using them, but I would like to know of any recommendations....Thanks!